Rob Carrick wrote an op-ed for the Globe and Mail this week arguing that rising student debt needs to be better addressed by parents, the government and the education system. In it, he argues that students should be encouraged to pursue trades and college degrees. Today, the Association of Universities and Colleges of Canada responded through a letter-to-the-editor, pointing out that one in four students graduate debt-free and that university graduates still out-earn college graduates and people with no postsecondary education over their lifetime. Massive open online courses (MOOCs) are an emerging trend in higher education. Inside Higher Ed reported this week on the difficulty of grading MOOCs focused on the humanities, where learning can rarely be assessed through multiple-choice tests, requiring students to write essays. Coursera, a major player in the MOOC field, is experimenting with peer grading, where students are required to read and grade four of their classmates’ essays for every one they submit. Gregor Wolbring, an associate professor at the University of Calgary’s Faculty of Medicine who presented at Congress 2012 as part of our Equity Issues series on disability, is covering the London Paralympics and issues surrounding sports and disability at The Conversation. Times Higher Education published an article on bizarre, and sometimes legitimate, excuses students have used when asking for more time on an assignment. One student had been declared legally dead by the Indian government, which was trying to seize his home, while another believed that ghosts had kept them up all night. 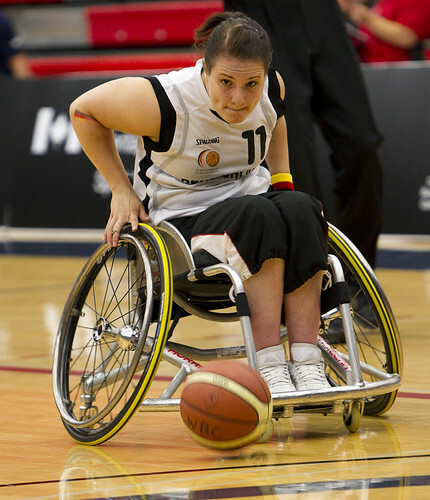 Photo courtesy of WheelchairBasketballCanada on Flickr.